Onions and rye go together like hot fudge and ice cream. 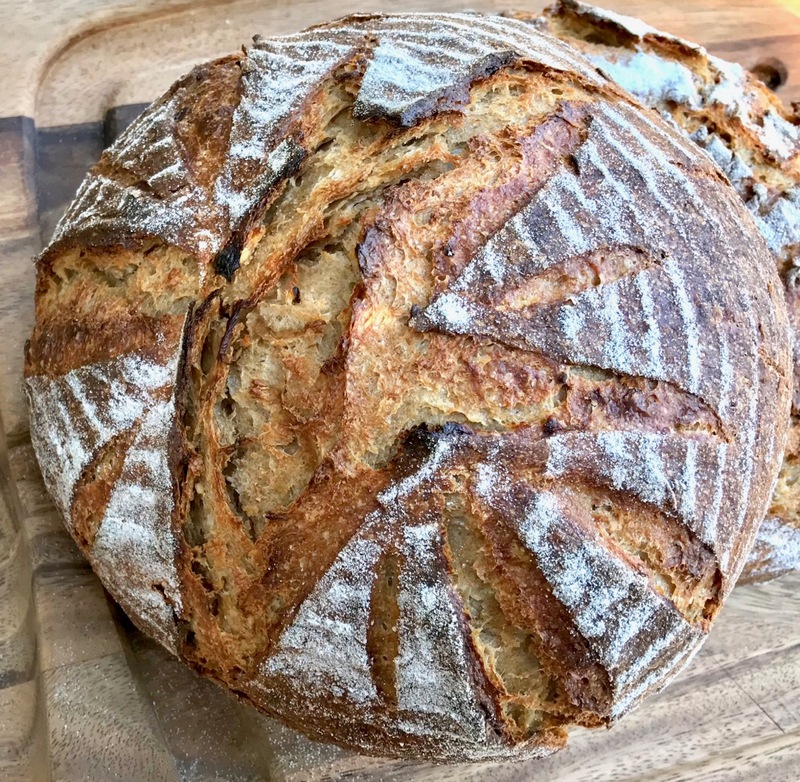 I haven't made a good rye bread in a while so today's bake was all about creating a flavorful onion rye with a moist open crumb. I wanted to use my new Yeast Water in this bake but didn't want to only rely on it to leaven the bread so I mixed up a simple AP starter with some spelt bran and added the YW as part of the liquid in the main dough. I milled the rye flour using my MockMill 200 and sifted out the germ and bran. I tried something different this time and added about 55 grams of the germ/bran to some of the water from the main dough and let it soften at the same time as the main dough flours were autolysing with the YW and water. Usually I add it to the main dough after mixing for about 5 minutes. 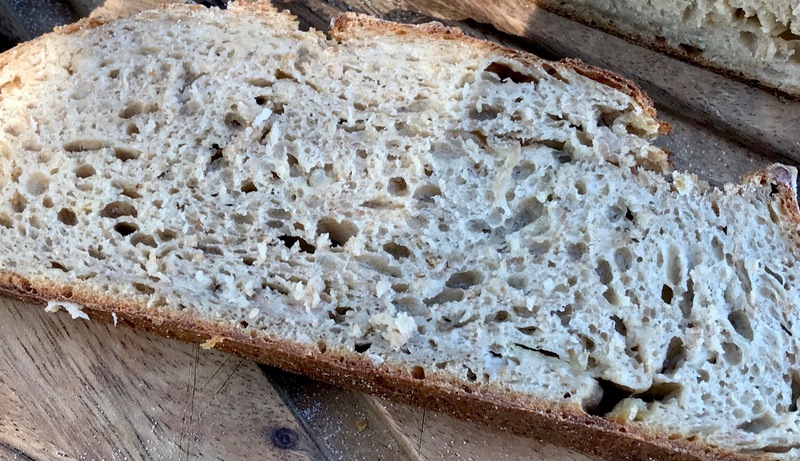 I'm not sure if this really made a difference, but the combination of the YW and high hydration really gave me a moist and open crumb which tastes amazing (if I do say so myself !). Add about 3/4's of the milk called for in the porridge to the dry ingredients in a small pot set to low and stir constantly until all the milk is absorbed. Add the remainder of the milk and keep stirring until you have a nice creamy and soft porridge. Remove from the heat and let it come to room temperature before adding to the dough. I loves all your porridge loafs and am especially drawn to your onion rye combo! I baked a rye potato onion SD (not porridge though) last week taking inspiration from different varieties of your rye loafs and am about to bake a cinnamon oat porridge (I will post both recipes soon). Thanks for helping me in discovering my love for porridge SD! I'm glad you like this one and I can inspire you with my bakes. Feel free to ask any questions you have now or in the future and I will be glad to help you. These are great looking loaves.. very nice bake. They must have smelled great in the oven! Yes, they did smell amazing while baking especially since I love onions. Rye and onion, huh? Will have to try this one! It looks great! Glad you like it and hope you give it a try when you get a chance. 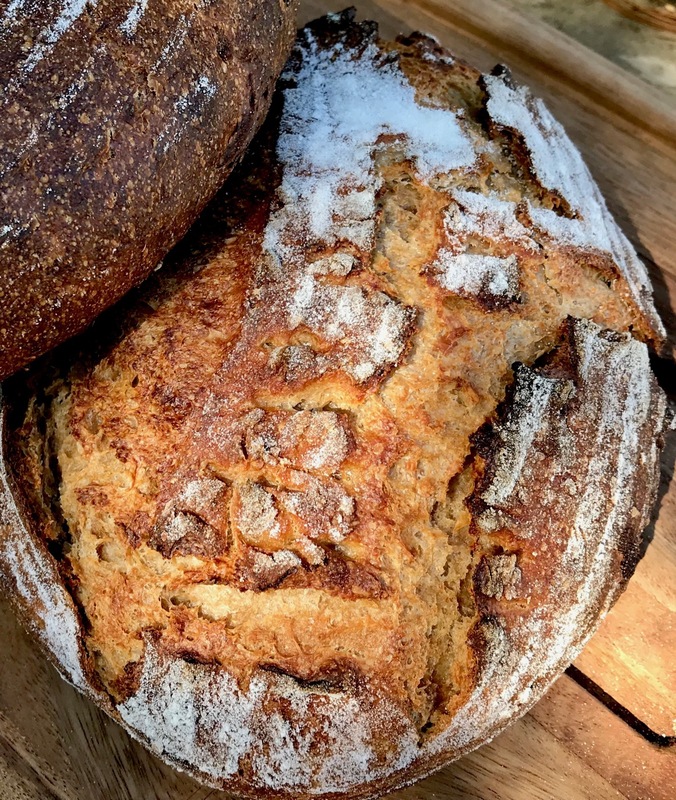 Beautiful looking bread Ian! 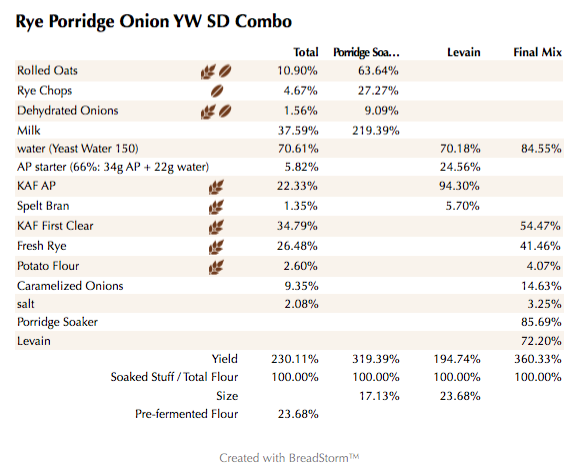 The taste and texture must be really incredible with the rye, oat porridge and caramelized onions. All I can think about after seeing that crumb shot - pastrami sandwiches! Well done, another really good bake Ian. Pastrami and or corned beef would be perfect for this bread for sure. Glad you like the bake. Oh! Thanks for sharing your bakes with us! I hope you get a chance to try this one. As you've probably figured by now I love porridge breads 😻. Beware, this one was very wet. that's a beautiful boule. With outstanding scoring too. On reviewing your ingredients list I think that I spotted about two things way in the back of my pantry that you neglected to include ;-) . Goes way beyond my comfort zone, where I might, might have used 4 different flours once - maybe. And then the usual suspects to round it out. But as you've been doing this for years, it is likely just about second nature to you to figure out combinations that go together. 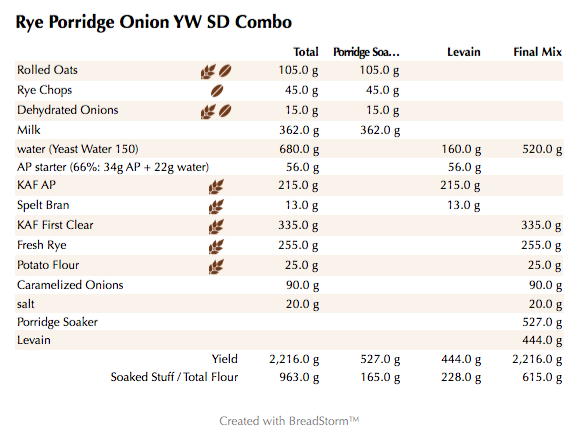 The only thing about YW SD combo levain bread is that the sour is muted and we love the sour. 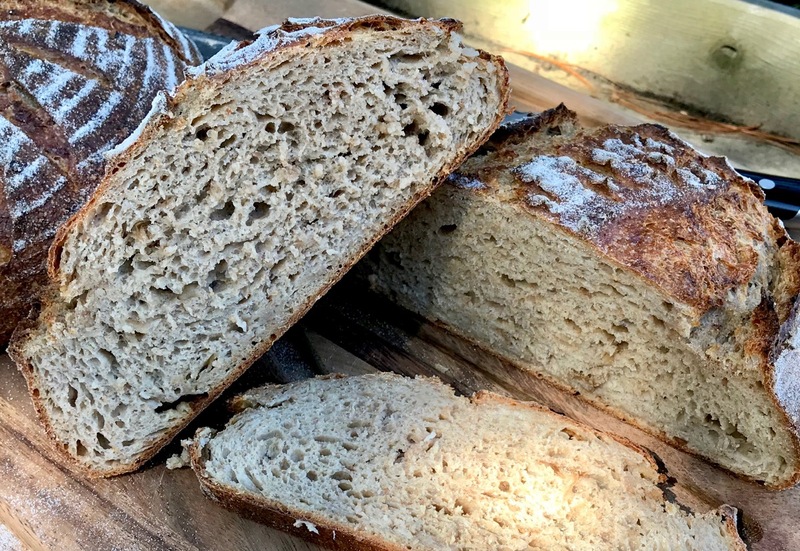 The trade off in sour is that the crumb is more open. But for folks who don't like sour bread, this is the perfect combination. 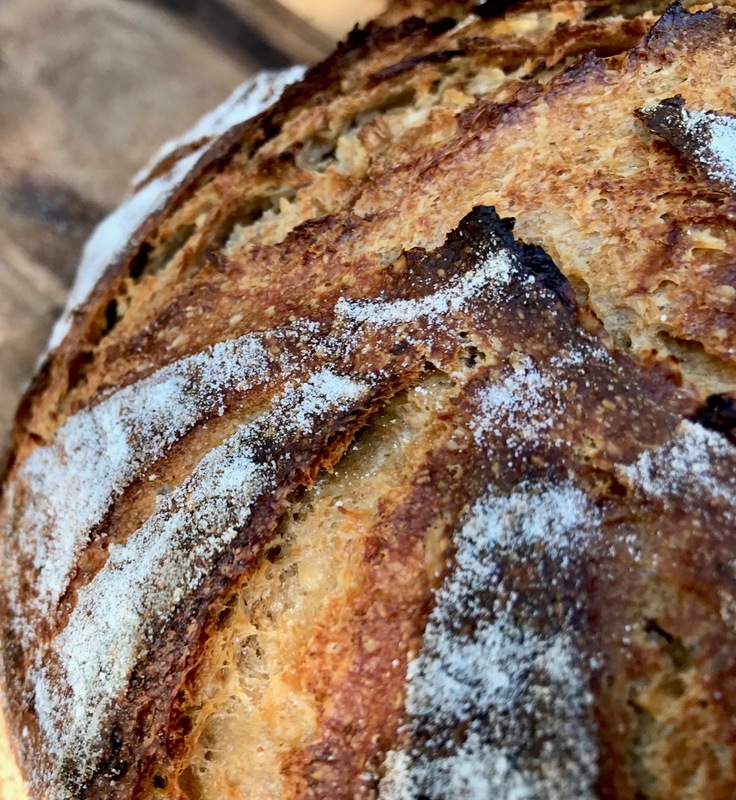 The scoring is grand and the bread looks perfect inside and out. My daughter got back to AZ yesterday and face timed Lucy to me which was a wonderful sight to see after more than a month without seeing her. I'm glad you like this one. I do think you and Lucy would be very happy making a killer pastrami Sammie on this bread. I hope you're back home soon with poor Lucy and get back to Baking and cooking. The first day of spring was a balmy 34F today and we are predicted to get a nice 10-12 inches of cold wet snow starting later tonight into Thursday....👎. Im ready for some warm weather already!